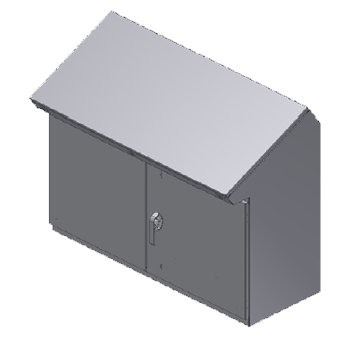 Steeline Enclosure Solutions offers a select set of standard industrial product designs to meet the demands of our customers. We offer a selection of standard product designs to meet and exceed a wide range of applications. These standard product platforms form the base design of our Modified Standard Enclosure program. These products are available with or without modifications, depending on its intended use. 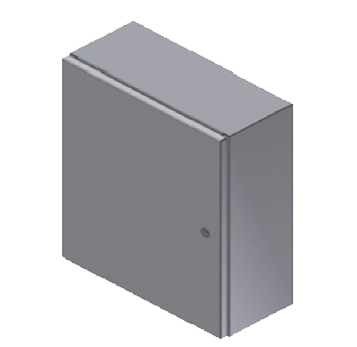 Steeline Enclosure Solutions (Steeline) can reduce turnaround time on the factory floor by using our Modified Standard Enclosure program. The Modified Standard Enclosure program involves selecting a standard enclosure product and your own modification (cutouts, holes, paint spec., or added accessories). Select a standard product or design platform. Use our CAD drawings to mark cutouts, required hole, added climate control, or other accessories. Precision cut holes and cutouts to our specifications. Your choice of materials (304 or 316L Stainless or Aluminum) to meet demanding environments. Increased environment ratings: Type 1, 3R, 12, 13, 4, and 4X. The highest quality manufacturing standards. 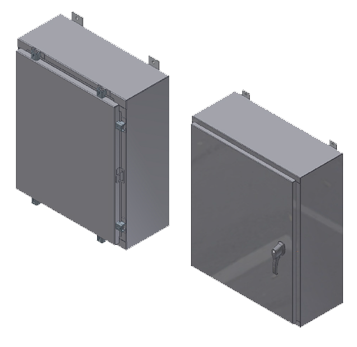 Steeline Enclosure Solutions can design and build a custom enclosure solution to meet your needs and specifications. Contact our sales and service department to find out more about how Steeline’s enclosure solutions can work for you.